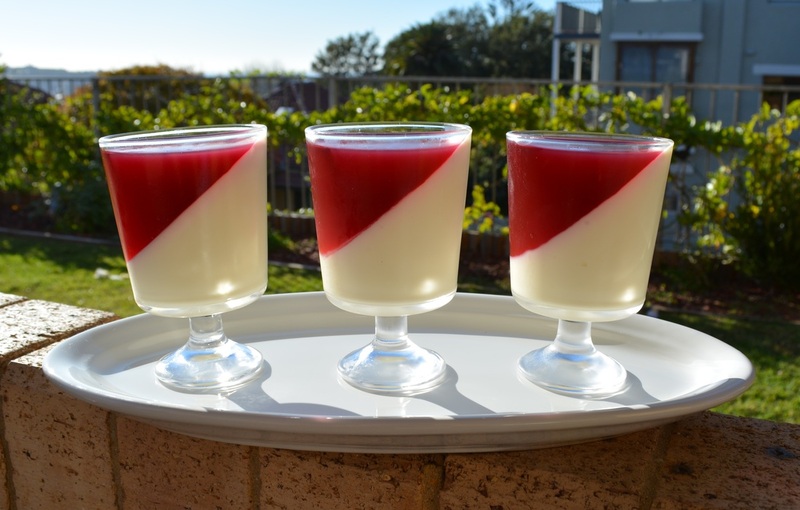 My family absolutely love panna cotta, this is a dessert that does not last very long in my house. Here the combination of the panna cotta and the jelly works perfectly together. You will find your guests will try the jelly and try and figure out what it is, as the pomegranate juice makes it different to normal jelly, it makes it better actually. Rarely will your guests get it right. The first time I made this I used 3 leaves of gelatine and the pannacotta was hard as rock. Then I discovered gelatine leaves come in various sizes, I obviously used very large gelatine leaves and it was too much gelatine. So here I have added the grams measure also so that you can work out how much gelatine is needed. I like to make this for parties as one, it is very easy to make and two, it can be made ahead of time. These will keep in the refrigerator for a few days. I have used thickened cream instead of double cream and it works just as well. I have used 1 teaspoon of vanilla bean paste or 1 teaspoon of vanilla extract instead of the vanilla bean also. Both work well. You don't have to just make a raspberry and pomegranate version, you can change it and make other flavours such as mango or blackberries, whatever you fancy. 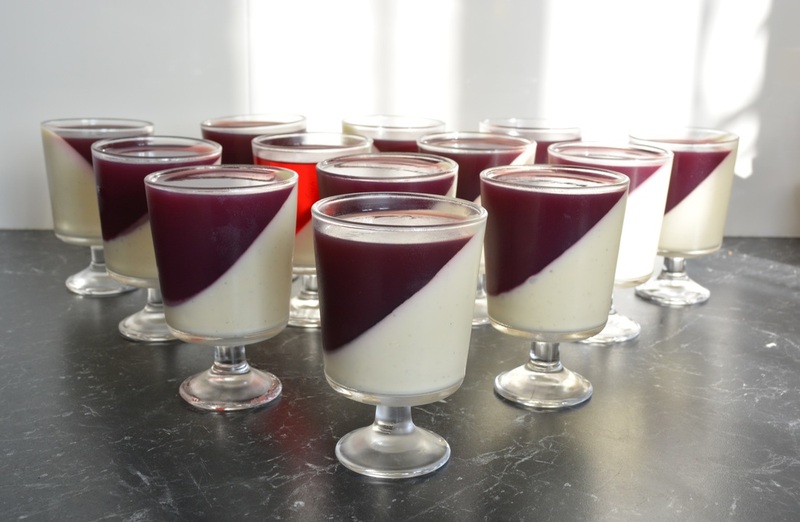 To get your panna cotta jellies to have the slanted effect there are various methods you can use, it really depends on the glasses you will be using. Below a tea towel is enough to keep the glasses from sliding. The glasses I use in the photo above, I place those glasses slanted in a large muffin tray. If you are using wine glasses that have a long stem, a loaf tin works really well. You may have a few ramekins around the house, you can use, or even egg cartons. You can even use Blu Tack to assist, if needed. Whatever, you use, set them on a large tray that will easily fit in your refrigerator. So, if you are looking for an easy, make ahead dessert to serve at your next dinner party, give this a go, it looks and tastes amazing. To make the panna cotta: Place the gelatine leaves in bowl of cold water and leave to soak for 5 minutes. Place the cream, milk, sugar and vanilla seeds into a small saucepan, place over a low heat. Heat gently, heat just enough for the sugar to dissolve, stirring regularly. Once the sugar has dissolved, remove from heat. The gelatine should be soft by now, squeeze out any excess water from the gelatine leaves, then add them to the warm cream mixture. Stir until all of the gelatine has dissolved. Leave to cool for 10-15 minutes. Place the yoghurt in a large jug. Prepare your glasses (see notes above on how to best slant your glasses). Once the cream mixture has cooled, pour it over the yoghurt and gently whisk it, until combined. Carefully, on the slant, pour the cream mixture into your prepared glasses, dividing it evenly. Carefully place the tray of glasses in the refrigerator and leave to set for 3-4 hours until firm. Meanwhile, make the jelly as soon as the panna cottas go into the refrigerator, as they need time to cool before adding them to the panna cottas. To make the jelly: Place the raspberry jelly crystals in a large jug. Pour in the boiling water, stir, until all of the jelly has dissolved. Stir in the pomegranate juice, then leave to cool, to room temperature. 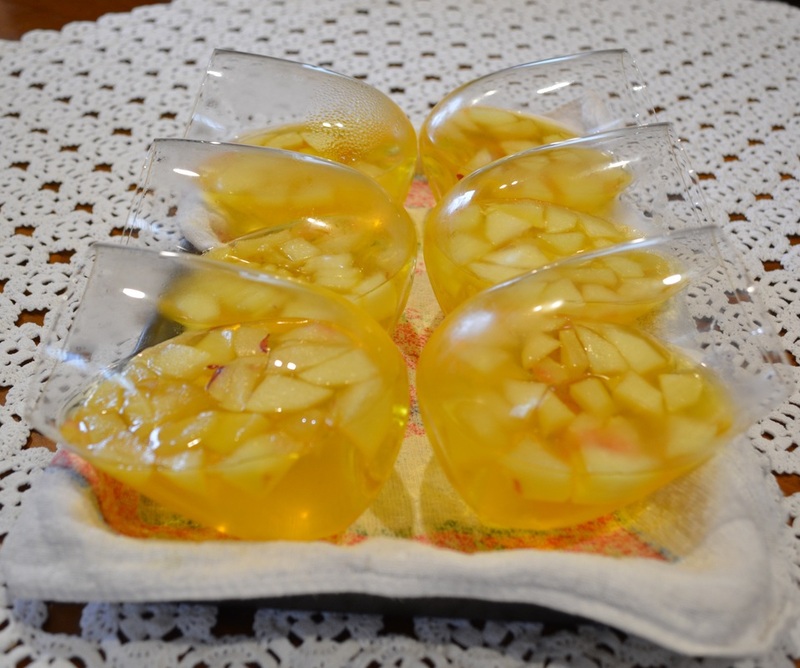 Do not add hot or warm jelly to the panna cottas, it will start to melt them. 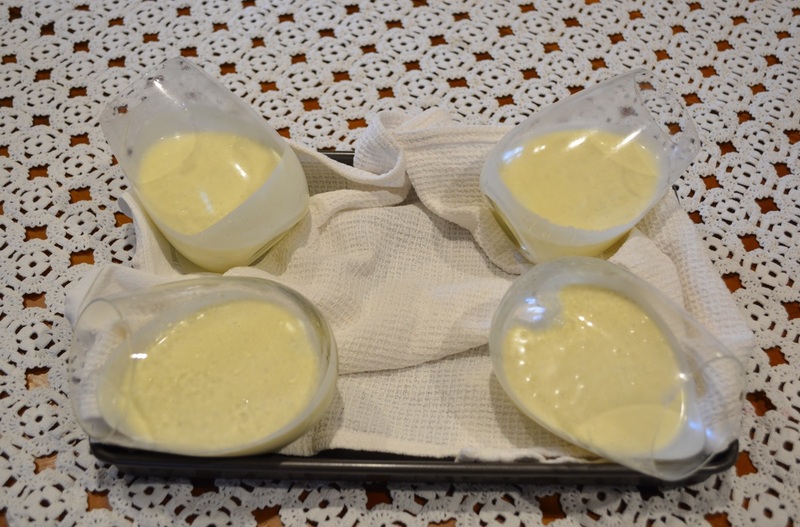 Remove the set panna cottas from the refrigerator and stand the glasses upright onto a tray. Pour the cool jelly over each one, dividing it evenly. Return to the refrigerator for a further 3-4 hours or until the jelly is set firm. When ready to serve, top each panna cotta with pomegranate seeds, if using.